The 1998 regatta was conducted at Ioannina in Greece. and were very successful for the Australians. Jaye Reynolds raced consistently being in fourth place throughout the race. 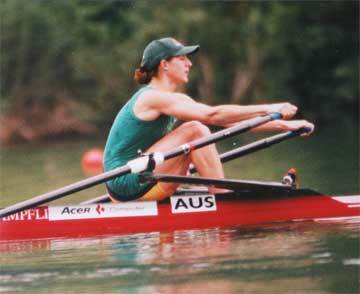 Whilst closing the margin on the third placed Dutch sculler, Jaye was unable to break through to a medal placing. The Australians had a blistering fast first half of the race being 2.5 seconds in front at the 500m and 4.4 seconds at the 1000m. They extended the lead to 4.4 seconds at the 1500m and went on to win by 6.4 seconds. The Australian double raced the first 1000m like their counterparts in the four taking a 4.3 second lead at the half way mark. The Italians fought back in the second half of the race but were unable to catch the Australians. 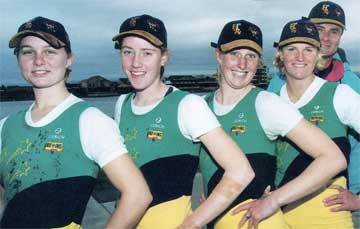 NB: This crew was originally selected as a quad scull but due to injury, raced as a double scull. Matthew was in fourth place after the first 500m and came home strongly to be only 0.84 seconds off bronze. The Australians were placed third through the first half of the race and had a good third 500 metre push to take the lead narrowly by the 1500m. They then pushed away to win comfortably in the end. The Australians led narrowly all the way in this tight encounter to take the gold medal. The Australians were in third position through the half way mark but the Greeks had a strong third 500m pushing them to fourth placing and the Yugoslavs did the same in the last 500m leaving them in fifth place.